In this screen cast you'll learn how to add sound effects to your projectile sprite so it makes a noise when it touches your main character sprite. The starter code already includes a make noise block but it doesn't do anything because it hasn't yet been defined. If you remember from day one of this club, when you create a custom block, you also need to tell the computer what it should do when the block is used. So drag out a play sound block and place it under the define make noise block. Choose one of your sounds from the drop down. Run the code to see what happens. The sound plays when a projectile sprite hits the main character sprite. You want the sprite to make a different noise for each of its four costumes. To make that happen use an if/then statement from the control menu. This statement needs to check if the costume equals a certain costume number, then play a sound. To do this, click on the operator menu and put an equals operator block inside the if statement. Under the looks menu, drag the costume number block into the operator block and type a one into the value box of the operator block. The code now reads, if the costume number equals one, then play a certain sound. 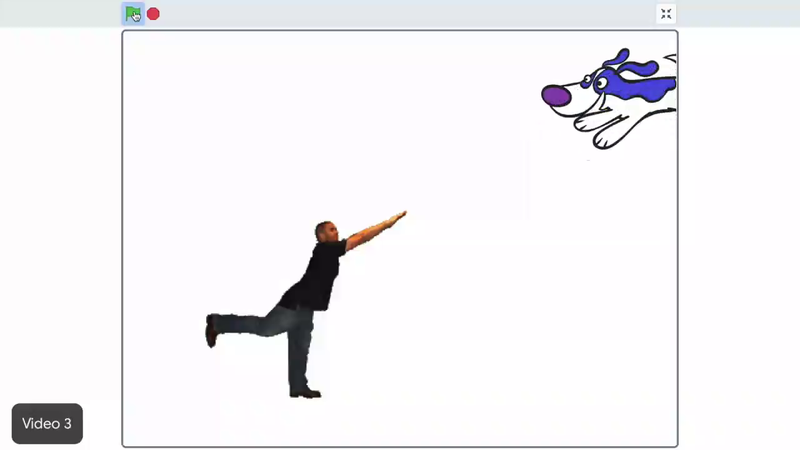 If costume number one, the dog, is shown, then the dog sound plays. Otherwise, no sound plays at all. You want a sound to play for each costume, so right click on the if statement and choose duplicate, then change the values of your costume number and the play sound block. This will make a different sound play for each costume. You can always click back on the costumes tab to see the number for any costume. Add an if/then block to the define make noise stack and create code that says, if the costume equals one, then play a sound. Do this for all four projectile sprite costumes so each one plays a different sound. Make the "play sound" block play a sound. Make the sound play if the costume equals a certain costume number. Make a different sound play for each costume.